One of our favourite weekend breakfasts is to enjoy some homemade crepes or pancakes. Sweet or savoury, they are always a popular choice in our house and rarely will there be any left at the table after we have dished up a serving of crepes / pancakes. Perhaps our favourite way of enjoying pancakes is to serve them with a helping of summer berries and some fresh cream. Strawberries, blackberries and blackcurrants are all perfect accompaniments for pancakes throughout the year, but especially during the summer months when they are at their freshest. This weekend we had a bit of a lazy one and opted for some ready made pancakes from a local supplier Genesis Crafty, and it’s fair to say they were a bit of a treat. We do enjoy having blueberries on top of our crepes or pancakes but this weekend we tried something new – blueberries mixed in with our pancakes. These pancakes were the new blueberry pancakes from Genesis Crafty and was the first time we had tried pancakes with fruit mixed into them. The pancakes come in packs of 4 and we enjoyed trying them out both warm and cold – and were equally impressed with both. You can really taste the blueberries in the pancake but it isn’t a strong blueberry flavour and doesn’t overpower the pancake which is good. The pancake is light and fluffy and certainly something that all the family will enjoy. We will certainly be trying to replicate these pancakes in the coming weeks here on Pikalily. If you’re a regular visitor to this blog, you’ll know that we have something of a sweet tooth, so we were delighted to see that Genesis Crafty also do a chocolate chip pancake. We also enjoyed these over the weekend and as with the blueberry pancakes, they are great either cold or warm. We enjoy cooking with chocolate and following the success of our own oat and chocolate chip cookies, we’ll be looking to recreate the chocolate chip pancakes in the future as well. The Genesis Crafty team also supply a range of flavoured scones and other baked goods, and it’s refreshing to see a company from Northern Ireland doing so well and putting NI food products on the map. It is a team of 6 brothers that are the driving force for Genesis Crafty and their products, and we look forward to following their journey and seeing what else they come up with. Success stories like this should encourage more food producers from Northern Ireland to really sing about their produce – something we look to do at every chance here at Pikalily. We plan to enjoy their scones over the coming days so we will let you know how they taste, although we’re sure they’ll be great. 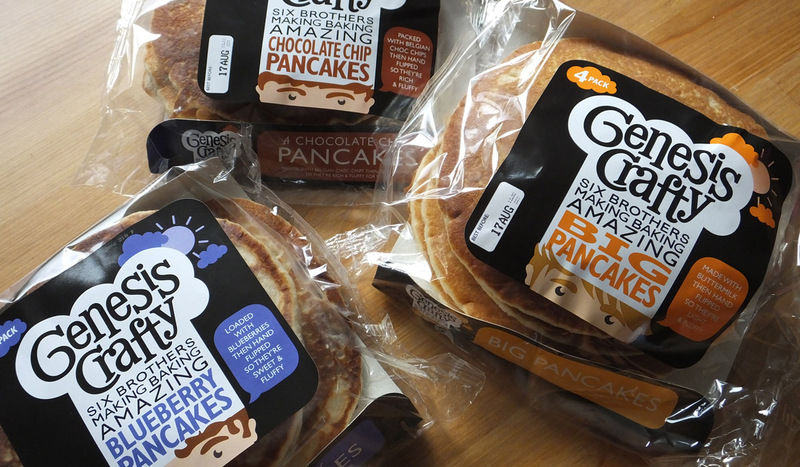 Have you tried the Genesis Crafty pancakes? 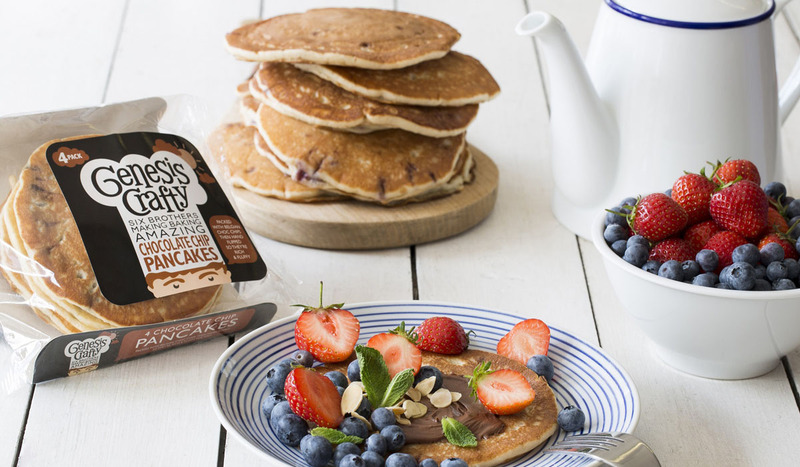 If you have tried the Genesis Crafty pancakes or even their scones recently, we’d love to know what you thought of them. Let us know by commenting below or connecting with us on Facebook and Twitter.